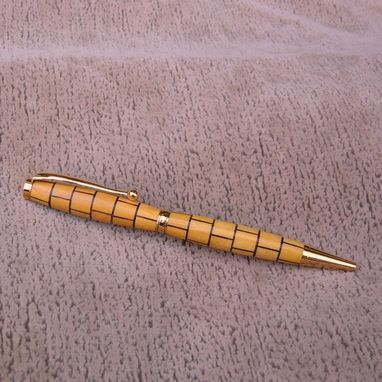 I made this pen of osage orange with wenge accent. 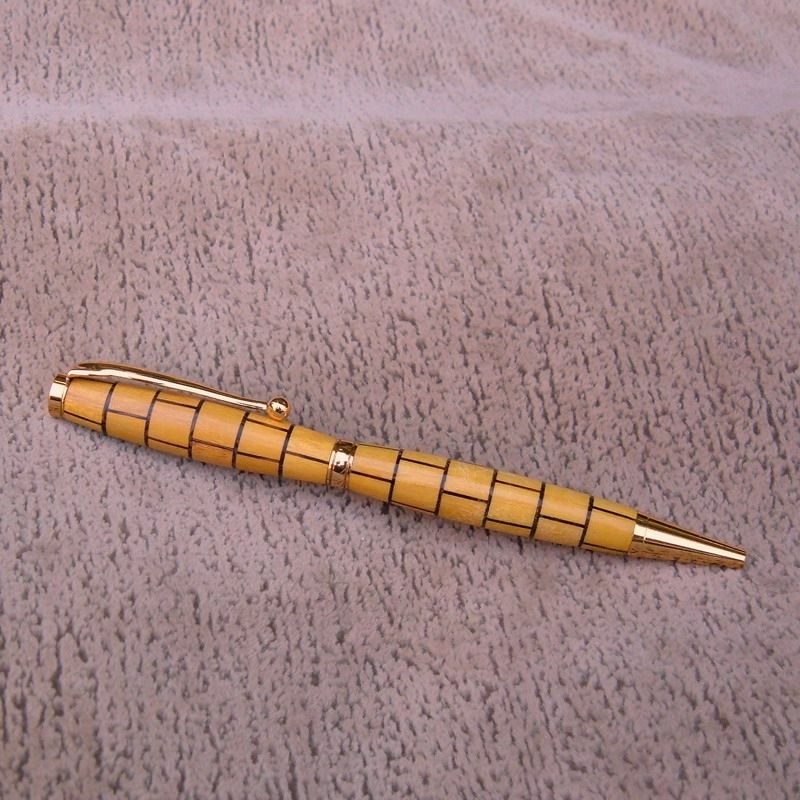 This pen is made with almost 60 pieces of wood. It is made in the "slimline" style that I've modified for a more comfortable grip and to better showcase the wood.